Many observers and legislators suggested that legalizing marijuana would mean huge tax revenues. With legalized medical marijuana now giving way to more and more states legalizing recreational use, the cash hauls look ever more alluring. Washington state regulators say the state collected $65 million in first-year taxes from recreational marijuana sales in just 12 months on cannabis sales of over $260 million from June 2014 to June 2015. In Colorado, the governor’s office estimated that it would collect $100 million in taxes from the first year of recreational marijuana. In the end, Colorado’s 2014 tax haul for recreational marijuana was $44 million, causing some to say that Colorado’s marijuana money is going up in smoke. Still, that isn’t bad for the first year. Colorado was first to regulate marijuana production and sale, so other governments are watching. Colorado also collected sales tax on medical marijuana and various fees, for a total of about $76 million. Still, not all sales are going through legal channels. Now, in another blow to the budding industry, is the IRS has convinced the influential Ninth Circuit Court of Appeals that marijuana dispensaries cannot deduct business expenses, must pay taxes on 100% of their gross income. The case, Olive v. Commissioner, was an appeal from a U.S. Tax Court decision. Martin Olive sold medical marijuana at the Vapor Room, using vaporizers so patients do not even have to smoke. But even good records won’t make vaporizers or drug paraphernalia deductible. The Ninth Circuit upheld the Tax Court ruling that §280E prevents legal medical marijuana dispensaries from deducting ordinary and necessary business expenses. Under federal tax law, the Vapor Room is a trade or business that is trafficking in controlled substances prohibited by federal law. Indeed, the New York Times had stressed that legal marijuana faces another federal hurdle when it comes to taxes. The problem is major, for federal law trumps state law. Even legal medical marijuana businesses continue to have big federal income tax problems. It is a classic Catch 22–tax evasion if they don’t report, and a risk of criminal prosecution if they do. More imminent, though, is the risk of being bankrupted by their IRS tax bill. One common answer to this dilemma is for dispensaries to deduct expenses from other businesses distinct from dispensing marijuana. If a dispensary sells marijuana and is in the separate business of care-giving, for example, the care-giving expenses are deductible. If only 10% of the premises is used to dispense marijuana, most of the rent is deductible. Good record-keeping is essential, but there is only so far one can go. For example, in the case of the Vapor Room and Martin Olive, with only one business, the courts ruled that Section 280E precluded Mr. Olive’s deductions. Recently, the IRS issued guidance about how taxpayers “trafficking in a Schedule I or Schedule II controlled substances”—by which the IRS means Marijuana dealers–can determine their cost of goods sold. After all, you have to report your profit, but how do you do that? If you buy goods for $10 and resell them for $20, your profit is $10. Your cost of goods sold is $10. Most businesses don’t want to capitalize costs, since claiming an immediate deduction is easier and faster. In the case of marijuana businesses, the incentive is the reverse. So the IRS says it is policing the line between the costs that are part of selling the drugs and others. 2013′s proposed Marijuana Tax Equity Act would end the federal prohibition on marijuana and allow it to be taxed–at a whopping 50%. 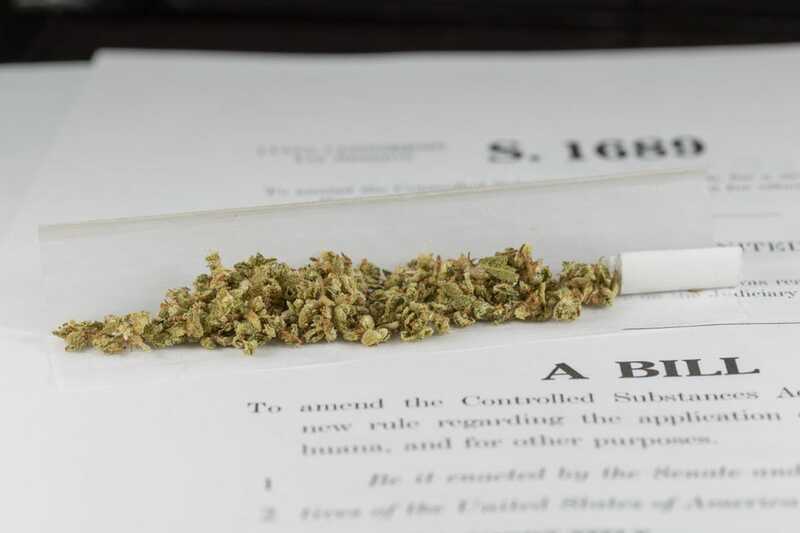 The bill would impose a 50% excise tax on cannabis sales, plus an annual occupational tax on workers in the field of legal marijuana. Incredibly, though, with what currently amounts to a tax on gross revenues with deductions being disallowed by Section 280E, perhaps it would be an improvement. More recently, Rep. Jared Polis (D-Co.) and Rep. Earl Blumenauer (D-Or.) have suggested a phased 10% rate here, ramping up to 25% in five years. For alerts to future tax articles, follow me on Forbes. You can reach me at [email protected]. This discussion is not intended as legal advice, and cannot be relied upon for any purpose without the services of a qualified professional.